Like a scene out of Austin Powers! Van captured on CCTV recording. “Pancake” the pug does her best to thwart off the intruder and lives to tell the story. 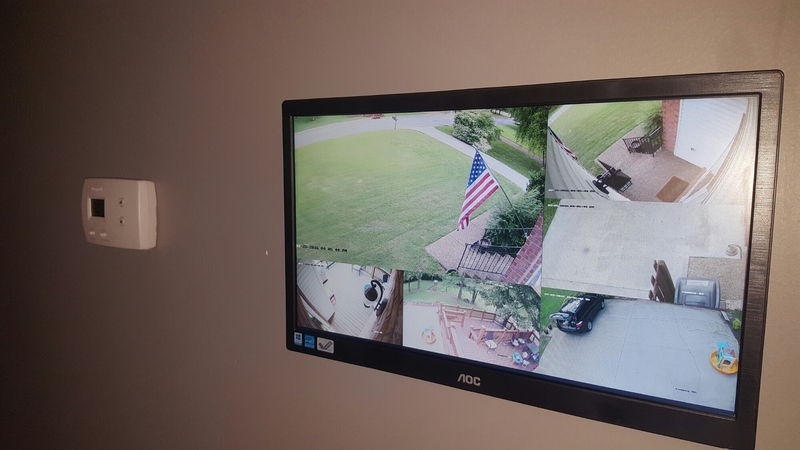 Know who’s been in your driveway with an Interactive Camera System! 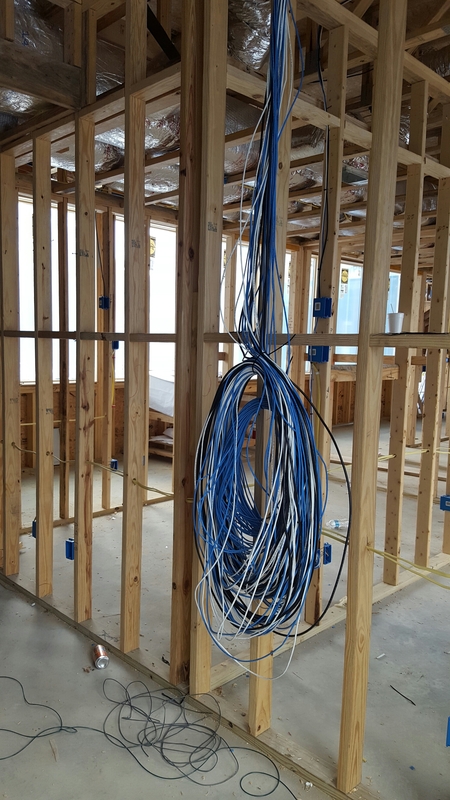 Ever wondered how much low voltage wire goes into a new construction for a medical facility, well probably not, but it’s about 20 of these bundles. 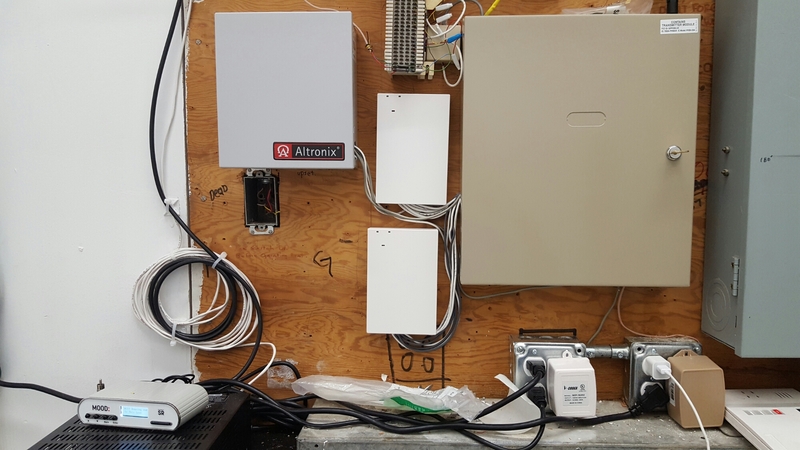 Thanks to CCI for incorporating cctv drops into data runs for us. 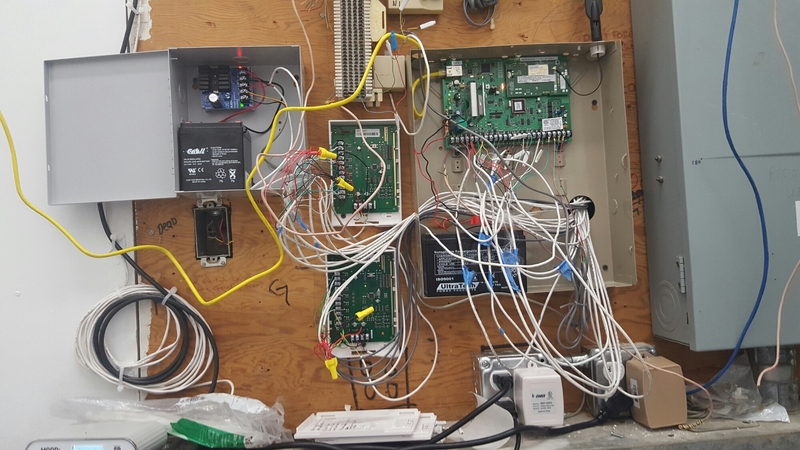 If you’re building, Interactive Alarms can help with design and wiring of Alarm, Camera, Sound, and Network systems. No job too small! 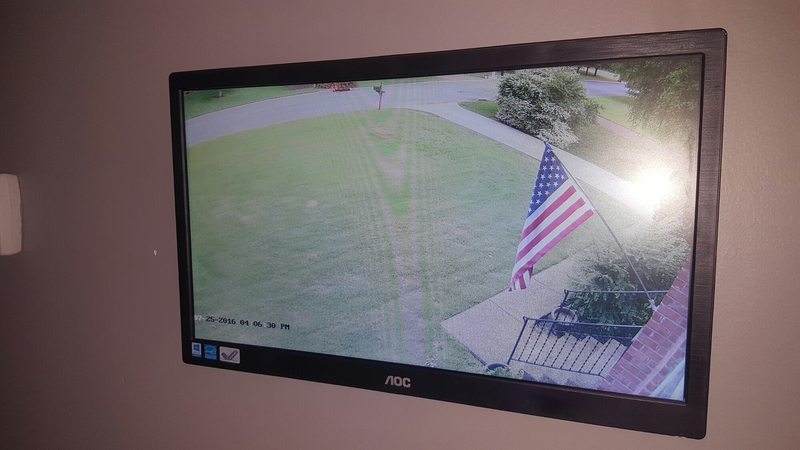 ​​You might assume the security benefits of a cctv/camera system but did you know how convenient it is to have a viewable monitor? Not everyone decides to use a dedicated monitor (otherwise viewed from phone or pc) but having the cameras within a quick head turn is super convenient! Who wants to get up from the couch to see who pulled in the driveway…or door, etc.. So maybe that sounds lazy, but it’s very convenient and conforting from a security perspective to be able to see the entire outside perimeter from the inside. Best of all, whenever there is movement in front of a camera the monitor goes to a full screen view of that camera until the movement ends or movement occurs on another camera. 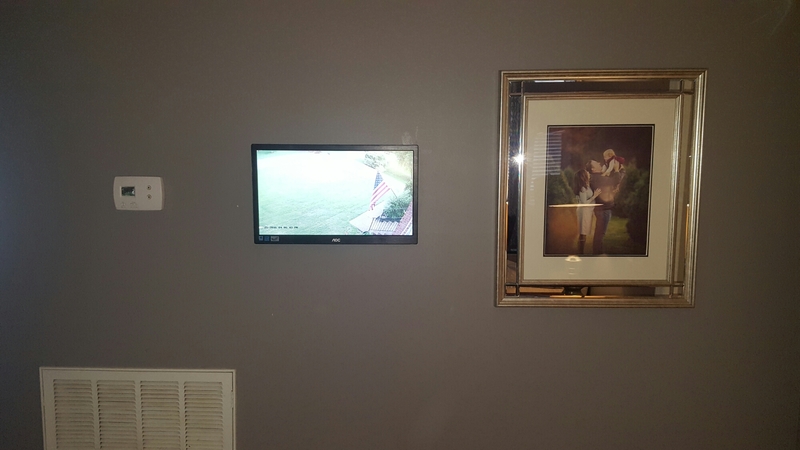 The monitor works out to be a critical part of our system. We especially realized this when our monitor needed to be replaced feeling in the dark in the middle of the day. No worries, just an opportunity to replace it with a larger monitor!